Café Racer Dreams have made “a few” excellent custom bikes for their customers and the attention that they are given is well earned. 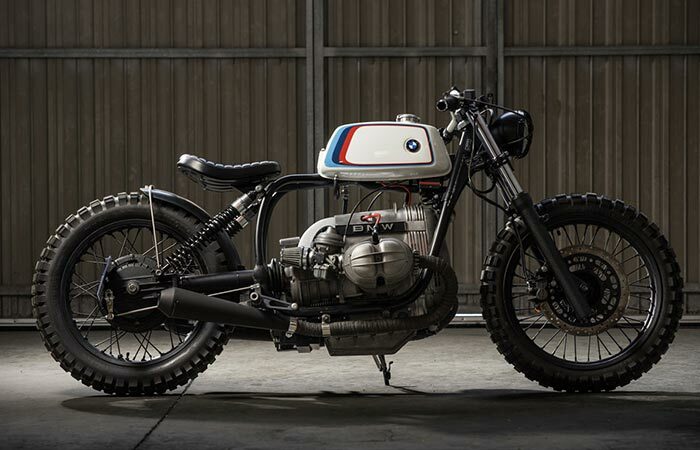 One of their more recent bikes is the custom version of the BMW R100 simply called CRD #58. 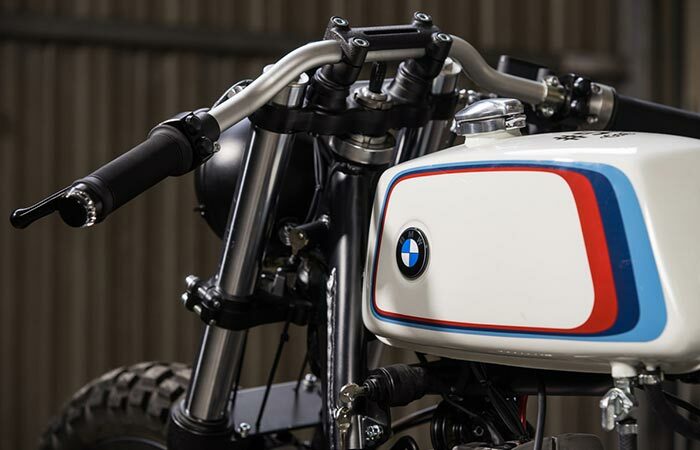 The idea for this bike started out as a simple sketch made on a napkin by the designers from Café Racer Dreams, Pedro García and Efraon Triana and it was build for a regular customer. The CRD #58 has a rugged appearance which makes you think that you can ride it on any surface, mostly because of the Continental TKC80 tires which can be used for both urban and off-road terrain. 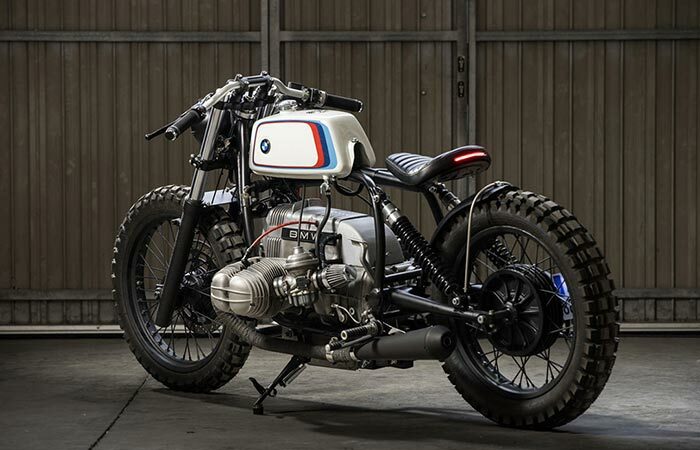 This design is further enhanced by the removal of BMW R100’s subframe, which gives the bike an open look and makes way for a solo seat configuration. 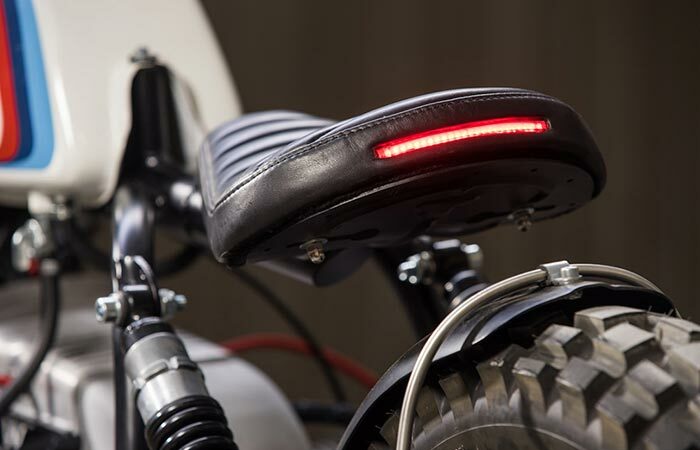 As for the seat, it was entirely custom made for the solo seat configuration and the CRD team added an LED tail light to it because of the whole subframe removal.The removal of the subframe caused them to re-purpose the BMW R100’s front fender into a rear fender. Another very specific detail about the CRD #58 is the tank. The original tank was deemed to big and was replaced by a smaller one, namely the 1972 Puch Minicross tank. The forks, front hub and brake disc were also borrowed from a different bike, the 1994 BMW F650, and, in combination with the rest of the changes, they look amazing. The fellas from CDR sure have a good aesthetic sense. As for the engine, it remained the same, except for a few changes. The air box was removed and a pair of K&N filters were added, and the engine now houses a Motogadget m-Unit control unit.